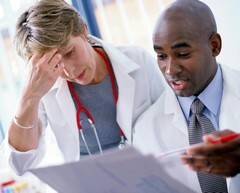 Clinician’s Corner features articles on cutting-edge therapies and evidence-based clinical practice drawn from the collaborative efforts of the Passy Muir Clinical Team and expert researchers and clinicians from different disciplines and settings. It is intended to inspire discussion about the Passy Muir® Valve and advancement in issues related to the care and management of patients with tracheostomy and mechanical ventilation. 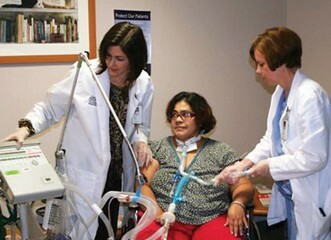 Patients presenting with respiratory failure are now surviving with the help of medical advances, including tracheostomy tubes and mechanical ventilation. The care of patients on mechanical ventilation has changed significantly over recent decades. Since the 1950s, there has been a shift from devices delivering negative-pressure mechanical ventilation to invasive positive pressure ventilation modes. Frequently, ventilation is delivered via tracheostomy tubes and permits prolonged mechanical respiratory support for most individuals with respiratory failure. 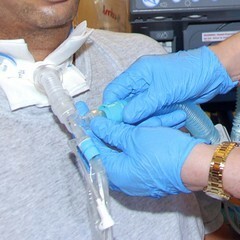 The presence of the tracheostomy tube accomplishes multiple airway management goals; establishing a patent airway, as well as providing a connection to assisted ventilation. On a splendid, early summer’s day in June 2016, Mr. Walter had the urge to get on his mountain bike after having dinner with his wife and four school-age children. Like every evening, Mr. Walter promised to tell a bedtime story to the two younger children when he returned. So, they waited excitedly for the made-up adventures of the heroes, which Mr. Walter created from his imagination. Mr. Walter was an avid biker and, despite being almost 50 years old, he was in exceptionally good physical condition. He loved being physically active on weekends or after a stressful day at work, breathing fresh air on forest trails, disconnecting for a while, and recharging his batteries through bike riding. Biking was his passion. 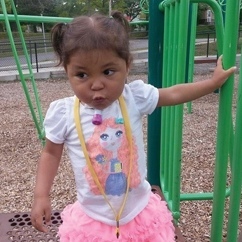 A frequent question that has arisen from clinicians is: What is High Flow Oxygen Therapy, and should I be using it with my patients who have a Passy Muir® Valve (PMV®)? This article begins to address the considerations by providing information on both devices and the current state of the science. First, High Flow Oxygen Therapy (HFOT) is an oxygen delivery system which provides heated humidity with high flow levels of oxygen (O2). Traditional oxygen delivery systems do not exceed 16 L/min while HFOT can deliver up to 60 L/min and as high as 100% oxygen (Lindenauer, et al., 2014; Gotera, Díaz Lobato, Pinto, & Winck, 2013). HFOT is typically used with patients following acute respiratory failure; however, it has proven to be successful in decreasing the Work of Breathing (WOB) in chronic conditions, such as Chronic Obstructive Pulmonary Disease (COPD) and end-stage cancers as well (Gotera et al., 2013). 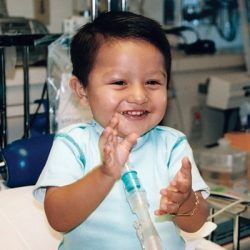 St. Mary’s Healthcare System for Children is an organization that provides intensive rehabilitation, specialized care, post-acute care, and education for children with life-limiting and medically complex conditions. Established more than 140 years ago, St. Mary’s Hospital for Children is a 97-bed inpatient facility, located in Queens, New York. With a family centered approach, this facility provides medical daycare to children and young adults. 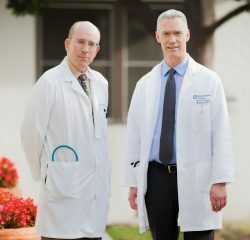 It also provides early education for medical conditions, a multidisciplinary feeding disorder program, and a K-12 public school, which provides ongoing education to its long-term inpatients who may be admitted for several months or even years. The feeding program is designed for both inpatient and outpatient cases. Additionally, the hospital’s home care program reaches nearly 2,000 medically fragile children each day throughout New York City and Long Island, making St. Mary’s Hospital for Children one of the largest providers of long term home healthcare for children in the state of New York. Premature birth is defined as birth before 37 weeks gestation and is the leading cause of death in babies in the United States. According to the March of Dimes, for the first time in eight years, the preterm birth rate in the United States has increased to 9.63% as reported by the National Center for Health Statistics (NCHS) (2016 Premature Birth Report Card, 2016). These premature infants often face health issues such as respiratory complications, jaundice, retinopathy of prematurity, developmental delays, and gastrointestinal complications, among others. 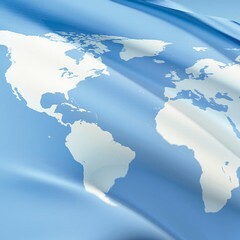 The National Academy of Medicine reports that preterm birth costs $26 billion dollars annually. Due to advances in medical technology and scientific innovation, more micro-preemies, those born at less than 26 weeks gestation or less than 800g, and those with congenital abnormalities are surviving, but not without frequently facing prolonged medical challenges. The inability to communicate during periods of mechanical ventilation (MV) can increase psychoemotional distress (Egbers, Bultsma, Middlekamp, & Beoerma, 2014) and has been associated with depression and post-traumatic stress disorder (Freeman -Sanderson, Togher, Elkins & Phipps, 2016). 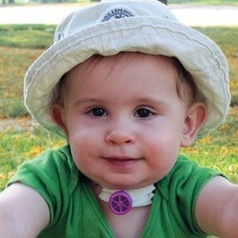 One way speaking valves can be used to restore verbal communication for patients who require MV. 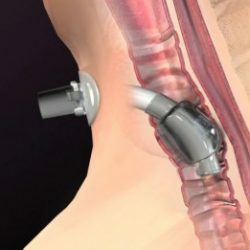 The Passy Muir® Valve is the only bias-closed position valve that can be used during MV. 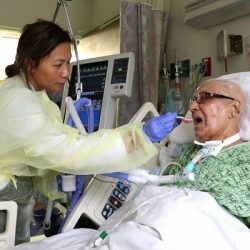 The Passy Muir Valve opens during inspiration and closes at the end of inspiration, re-directing exhalation through the vocal cords and out through the mouth and nose, which allows for verbal communication. 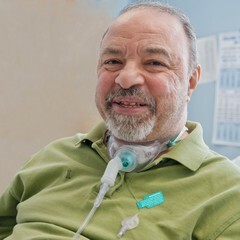 The restoration of airflow, sensation, and positive airway pressure to the aerodigestive tract returns the upper airway to a more normal physiologic condition and may also have other clinical benefits for the patient who requires tracheostomy and MV. Current research shows an overwhelming association of negative emotions, including fear, anxiety and depression with patients admitted to the intensive care unit (ICU). Statistics report up to 75% of patients report anxiety and 40% report depressive symptoms following admission to ICU (Nelson et al. 2001). These investigators conducted a prospective, observational study of 22 patients in a tertiary ICU, to evaluate the effects of vocal communication on mental and physical wellness. 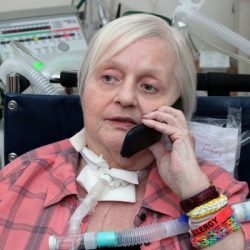 The study measured patient-reported change of mood, communication-related quality of life, and general health status with return of voice among mechanically ventilated tracheostomy patients admitted to the ICU. Daily evaluations were conducted to assess patients’ quality of life in relation to communication, and weekly evaluations were conducted to assess their general health status. All participants had undergone a tracheostomy and experienced voicelessness during mechanical ventilation. 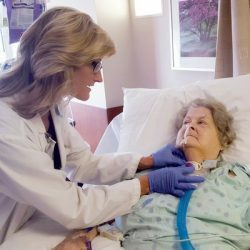 Patients progressed through cuff deflation, assessment/management of swallowing, and a communication assessment, which included implementation of the Passy Muir® speaking valve.